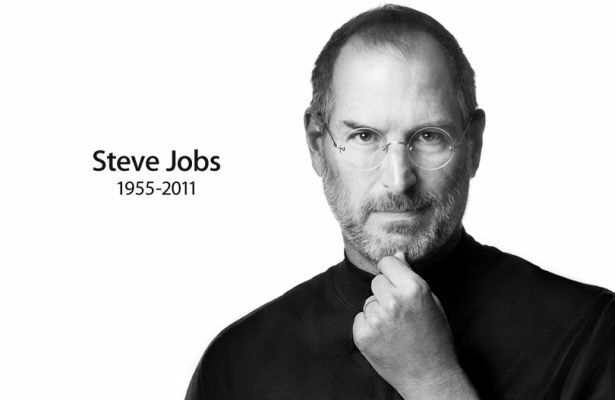 Steve Jobs died yesterday, aged 56, succumbing to the pancreatic cancer he'd been battling since 2004. The co-founder and chief architect of one of the biggest companies in the world, Apple Inc., Jobs was a visionary who had a large hand in shaping the world we live in today, giving us everything from the personal computer, to digital music distribution and the quintessential smartphone. Apart from the words (seen below) from Apple's Board of Directors, newly appointed Apple CEO - Tim Cook, and Bill Gates, tributes from the common man are flooding the internet, with people also flocking to Apple's stores and offices to leave mementos, flowers, pictures and post-its in memoriam to the enigmatic futurist. A creative genius, Steve Jobs' zealful personality was one of the principal driving forces behind personal computing, one of the folks "crazy enough" to change the world, and the sad news of his demise has had a profound effect on all of us - regardless of any of our opinions about Apple and its products. R.I.P Steve Jobs. friends over the course of more than half our lives.